The purpose of marketing and promotion simply means communicating with your customers. Many social media channels provide businesses with a platform to communicate, but now a new kid’s on the block! Instagram is basically a photo sharing application for mobile users, which is now part of Facebook. With more than 100 million users, Instagram has become the perfect opportunity for brands to get quick messages and photos to their target audiences. Users now have the opportunity to access Instagram profiles on the web in addition to mobile, giving marketers more possibilities to market on other devices besides Android and iPhone. Sign up for an Instagram account and choose a username that clearly represents your brand. Start sharing your photos across your networks and don’t forget to use hashtags! Adding tags to your photos is a great way to find new followers and share your photos with more people. Choosing specific tags will help you connect with other like-minded people. Give your business brand a face – showcase employees and their achievements or even your customers. Customers can be your brands greatest advocates and are a great way to tell your company’s story from the perspective of someone outside the company. Create engagement by asking individual questions or launch photo contests. Ask users to use a particular hashtag for the contest by tagging their pictures. It’s easy to search through pictures and ask other people to vote for their favorite. Remember to monitor your photos for customer comments and feedback! Relevance – Given the casual atmosphere, it’s easy to post everything and anything. As a business or organisation participating in social media, you want to stay relevant to your business. This does not mean you need to write only about your business or organisation but the key is to not litter your wall, tweets, or status updates with just sales pitches. Post about happenings in the greater community from industry lead articles to staff winning awards and remember to use related #hashtags for subjects. A nice balance of professional photos, videos and news stories will create your part in a social media conversation that will help to increase your exposure. Engagement – People gather on sites like Facebook and Twitter because of their common interests or because they want to be in the know. It’s not formal communication like a press release, messages are shorter and in many cases more fun. If you really want to add value to your social media, you need to engage with people. Listening is the key to being effective. You need to listen to what people are saying to you and about you. When appropriate be sure to respond. Show your followers that you know your business and industry by posting links to related articles, notes about other complementary businesses, and by interacting with others on the networks in which you participate. Remember…be active – How often to post in social media? Too little and followers may not notice, too often and they may get annoyed. When posting something to Twitter for example you may want to post the same information more than once in a given day. Twitter feeds are fast-moving, so if a customer doesn’t see your original tweet, they may miss out. But remember to change the wording each time to freshen up the content! For Facebook, a single link to a blog post is enough. The same goes for LinkedIn updates. Generally, you can post multiple updates to Twitter, one or two to Facebook, and one to LinkedIn over the course of a given day without the risk of annoying the followers on each site. Just keep in mind: If you’re updating Twitter quite a bit, you may inundate your followers on the other networks with all your tweets. The majority of Pinterest users are female, however not all of them are! So don’t neglect Pinterest simply because you target a mainly male audience. In general, Pinterest users like anything that is aesthetically pleasing or which instructs them on how to do something. Videos – Pinterest isn’t just about images, so pin any interesting videos you have too, whether they’re informative or simply cool to watch! Avoid self videos however, just as you would avoid pinning a banner advertisement image. IMPORTANT! According to the Pinterest responsible for what you share on the site, so it is important that you only share content that you have the rights to. When in doubt, only share your own work. Remember that timing is important too – pins are to be ordered most recent first, so you want to be pinning early in the morning (before people go to work) and near the end of the working day (when they come home and go on the Internet). Guide to Business Success on Facebook – How to get started! Start by considering who are the essential connections for your business. Who are your advocates? Set goals for who you would like to connect to your business. If you don’t have a Page already, create your Page at facebook.com/page, fill out as much information as possible and add photos. Make your first Post! Create a schedule to track what and when you will Post and try and Post at least twice per week. Invite your employees, friends, and customers to like your Page. Get a personalised link for your Page by visiting facebook.com/username. (You’ll need at least 25 fans). Put your Facebook Page’s personalised link in all of your marketing materials (business cards, receipts, e-mails, chalk boards, signs) and promote it to customers who come to your store/website. Keep engaging your fans once or twice per week. Post pictures and videos. Ask questions. Respond to customer questions and feedback. Experiment with offering promotions or discounts available only to your fans. Create a Page Post Ad targeting your current fans so you can increase your reach with your existing fans by 3-5 times. Choose the most recent post or a specific post that you want to highlight. Create a Facebook Ad for your Page. Experiment with different targeting options including location, interests, broad categories and demographics. If people regularly check-in to your business on Facebook, create a Check-in Sponsored Story. Review Page Insight data by clicking “Insights” on the left hand column of your Page. See how many people are talking about your business on Facebook, what type of content is most engaging, and the demographics and location of your fans. Review Ads Manager regularly at facebook.com/ads/manage. Run advertising reports to determine which Ads are working in terms of type, creative, copy, and targeting. Using the Responder Demographics report, identify which demographic profiles are responding best to your Ads. Make sure you have different campaigns for different regions and products. Refresh the images for Ads that are working well to help maintain their performance. Shift budget to Ads and campaigns that are performing well. Launch new tests. Put a Facebook Like button on your website to connect with more fans for your Page. Find out more about these light Facebook integrations at facebook.com/plugins. Infographics – communicate your data with pictures! Infographics are appearing all over the internet, displaying all sorts of information. They are graphic visual representations of information, data or knowledge. These graphics present complex information quickly and clearly. When you think infographics, think visual communication. Therefore, if you want to convey information that contains numbers, dates, locations, measurements or comparisons, you could probably move away from putting it in writing and format it as an infographic instead. While this form of visual communication existed before the Internet, they are back by popular demand due to the massive amounts of data circling the web and the sharable nature of social media. Infographics have an internal and external appeal. Externally, they take data and information and put it into a format that’s snackable and easy to digest. They also bring value to consumers that are sharable. Internally, they have linking capabilities for search engine optimisation and traffic generation. NFC (Near Field Communications) – Now this is better than QR codes. NFC (Near Field Communications) is an exciting new technology designed to provide opportunities for innovative, effective marketing. Your customers simply “tap” an NFC enabled mobile against a poster that contains a small a tag. The tag contains the info you’ve programmed it with so whether you want to get more Facebook ‘likes’ or send people to your website, one small tap can have a massive impact. Create a completely customised campaign with bespoke design/artwork and different tag functions such as dial a number; send a text or email, with NFC tags, the possibilities are endless. Increase your Facebook Likes by creating your own Facebook ‘Like’ Campaign. Customers simply tap your poster or sticker and press the ‘Like’ button directly on their phone. This automatically creates a ‘Like’ on your chosen Facebook page so it’s simple and instant. 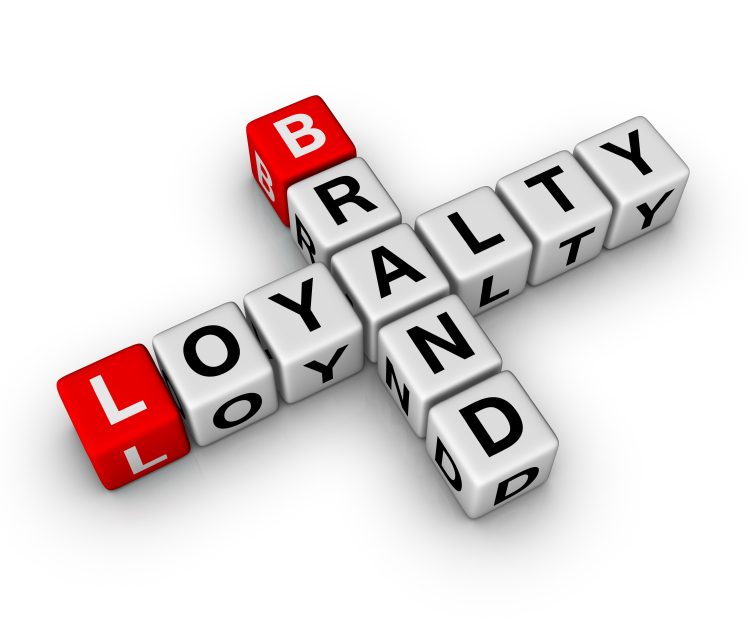 Build brand loyalty and show you genuinely care about the customer! The first and most critical step to build brand loyalty is making sure your intentions towards customers are actually worthy of their loyalty. By putting customer’s best interests ahead of your brand’s short-term gain, demonstrates you genuinely care about what’s best for customers and your brand shows that it can be trusted. Customers now have an instinctive need to know about the true intentions and abilities of the people behind the products and services they buy. High profile business leaders like Steve Jobs and Richard Branson represented their brands in ways that told customers a great deal about what they could expect from their products and services. Real employees, human faces and true stories should be at the forefront of your brand’s interactions with customers. This will make it easier for them to recognise, understand and become loyal to it. Telling the story of your brand’s background and growth over time helps transform products and services into meaningful stories authored by the people producing them. Fascinating brand profiles are based on the stories of real people, the brand’s creators or employees, giving the brand a human touch that makes it easier for customers to identify with. Social Media offers an efficient and accessible way to engage and build relationships directly with customers. Social network accounts can use real employee names and faces, putting an authentic human face on the brand, while also providing lots of opportunities for human interaction. What’s more, these interactions essentially happen in public. With the click of a button customers can share their brand experiences with all of their friends and followers – giving new meaning to building brand loyalty through word of mouth marketing. Empower employees to simply “do the right thing” for customers whenever company policies seem clearly unfair or likely to destroy a customer relationship. Everything customers encounter related to your brand helps communicates what its intentions and capabilities are. Everything your company does and does not do, everything your company says and does not say – it all communicates something to your customers.